The next generation of Microsoft Excel™ based software tools for System Engineering and Design for Six Sigma. SDI Tools support the Identification of Stakeholder Needs and Requirements and the application of models for statistical performance analysis. 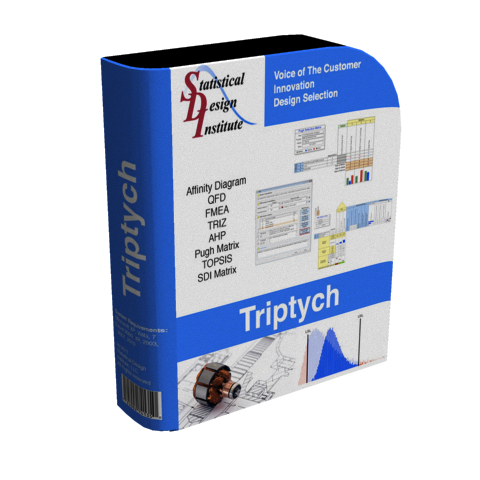 Triptych provides support for documenting and clarifying the requirements, generating ideas, and selecting design alternatives. 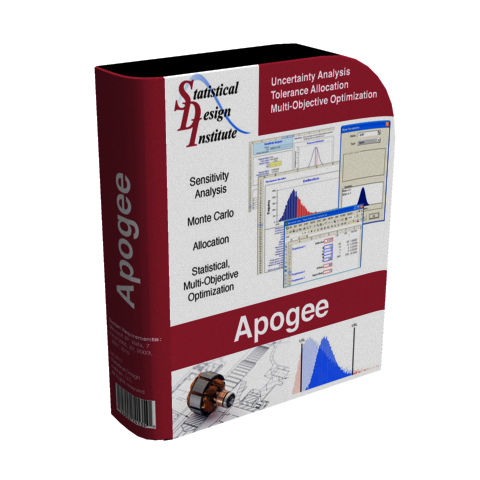 Apogee integrates the capabilities of sensitivity analysis, Monte Carlo analysis, allocation, and multi-objective optimization into a single easy-to-use toolset. Apogee works with functions Y = f(x) that you create freeform in Microsoft Excel™ workbooks.